After his educational training in linguistics, EKENE ODIGWE chose the path of broadcasting, a career which he dreamed and worked for as a child. He is a radio presenter at Radio Nigeria, Voice96.7FM, Nsukka, and Creative Director of Red Carpet TV. In this interview with Brojid.com Editor, JOSEPH DINWOKE, he shares insight on how he started his career in broadcasting, developed himself and what it takes to be an On Air Personality. Thanks for joining me on Brojid.com Career People. Let’s get to know you. My name is Ekene Odigwe. I work in a radio house. Which radio station do you work with? I work with Radio Nigeria, Voice 96.7FM, Nsukka now. I am also the Creative Director for Red Carpet TV. What is Red Carpet TV all about? It is an entertainment lifestyle channel and celebrity talk show. The idea is to use the celebrities to motivate this generation; bringing entertainment into their living rooms. That is what we do on Red Carpet Show. We discuss issues of lifestyle, how it happened, where it happened and what should have happened. You are a radio producer and presenter in Radio Nigeria and Creative Director, Red Carpet TV. What prepared you for career in broadcasting? Let us say I have always been intrigued by radio and TV; broadcasting generally. I have always loved the idea of being on air. I enjoy that. It is flair. I didn’t study that. I didn’t study Mass Communications. (Cuts in). What did you study? I studied Languages and Linguistics, first degree, Languages and Linguistics, second degree. But then, after my first graduation, I went and did a presentation course- reporting skills- just to acquire them because I wanted that. I always had flair for it, then did the training. I wanted to have a life in broadcasting. I wanted to be an OAP. I wanted to be everywhere. I always had this idea that it brings money to your pocket but then it really doesn’t bring that much. No! No! No! If you are thinking of it from the onset that it is the money thing, then you would misplace it because it doesn’t really bring the money you think it does. Not like it brings millions the first time until you are established. Just like when you are thinking of modelling and you are thinking once I step on the runway and people get to know me, I will sign contracts. No. First is the flair. There should be the flair. I have the flair and I wanted it. I dreamt it, I lived it and I am still living it. From there, the money could easily come but may not be as much as you think. (Cuts in). Yes, from Nnamdi Azikiwe University, Awka. And you had to go to be trained to actually switch to broadcasting. Yes, I graduated in 2006. By the time I was leaving school, I had this training with Anambra state Broadcasting Service. I went for three courses: Reporting, Presentation and Script writing. By the time I was done with them, Youth Service was up. I served in Radio Nigeria, Enugu. When I was done, I went home and started doing what I wanted-building my fashion blog online. Then, fashion blog wasn’t very common so what I was doing online was I build a fashion design and sell sketches to fashion houses who are up for it. Then, that was when Red Carpet TV started. Because in the process of selling the sketches, you meet celebrities who want you to do the sketch. Then, I was like, maybe we can easily talk about what you guys do. What the life of a celebrity is like really. A day with them. So, why don’t you bridge the gap between them and the people? We bring celebrities into your living room. We don’t bring them with the glamour. We bring them the way they are. We want to see how their everyday is like. You wake up in the morning, what you do, how you do it. What you look like without all the make-up. What your meal is like. Apart from Anambra State Broadcasting Service, were you trained anywhere else? Yea. That was when I joined Radio Nigeria. We had some in-house training. I had voice training from Radio Nigeria and Coal City FM, Enugu. What they did was organize the in-house training for us. I have already been in radio Nigeria for two years. I joined Radio Nigeria since 2011. I went for my first official training under Radio Nigeria auspices in 2013. That was on Basic Presentation. From Language and linguistics to your training you got into radio. How did you get your way to radio? So many people say they are talented and got the skill but couldn’t find a way. So, how did you get into radio? Is there any way to get into radio? I think it is all about what you dream about. What you have a flair for. Let me quote Omotola. Let us say in a very good and sane world when you don’t need the fame, the glamour and the money, what would you want to do? That is the first question. If you want it, then go for it. Take away all of that. When you got into radio, obviously, there was a difference between your skill level and experience and that of those who had been there. How did you manage to relate with them to learn from them and all that? It would shock you to know that when I joined Radio Nigeria, I stayed only two weeks and I started mounting shift alone. That was a night shift and you have to be a professional for them to allow you on a night shift. But, because I had the flair and I wanted it, I was able to anchor it and I did wonderful. That was my first step. You just need to make people trust you. If you believe in yourself, do what you have to do to gain people’s trust. And I gained their trust. I delivered all into place naturally. What does it take to be an On Air Personality (OAP)? Okay. Let me talk about what it takes to be an OAP for me. Because I think, every OAP has their own personality- who they are. I want to be perfect in all things. I want to be able to read news and deliver. I want to be able to say things and people would love it. I want to be able to read without what my teacher would call hindering. Mutual intelligibility. Where you ought to say one thing and you say the other. I want to be able to make a difference. To be an OAP, you need to be able to understand YOU first. Self-discovery. Are you in the right place because you don’t impart what you don’t have? Then, what area are you interested in? You would need to read every now and then. You need to know a bit of everything. You read a lot. Be open-minded to issues, to things and to people. For instance on TV, pictures – people look at images and pick micro expressions. So, you need to be you and need to as well deliver. So, let us say to be an OAP, you need to be open-minded. Be compromising to issues. Not really in a bad way but in a good way. 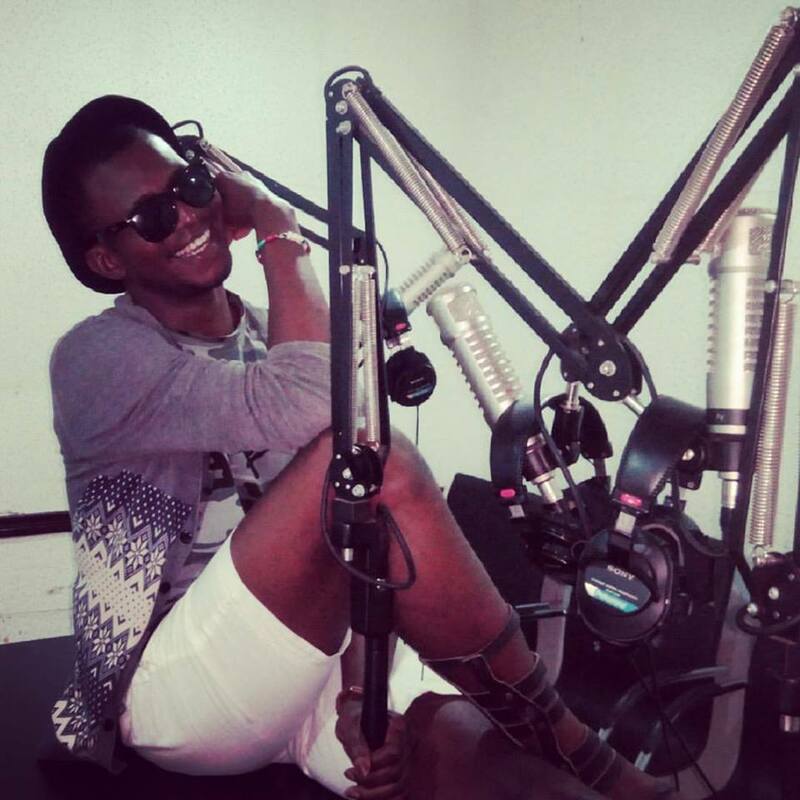 What is your biggest mistake as a radio presenter? Nobody is perfect. Biggest mistake… Have I made…? (Cuts in). What is your most regrettable mistake? I have made mistakes but none can be described as the most regrettable. Naturally, when you are reading the news brought to you at a late time, say a minute to and they want you to deliver on the time. You just have to deliver and most times, you don’t have the time for all the rehearsal but you have to deliver it the way it is. So, when things happen, you just have to pick up yourself and move on. So, that is what being an OAP all is about. The ability to make mistakes, jump on it and move on. Your Birthday is tomorrow. What has life taught you so far? Life has taught me to change the things I can and leave what I can’t for God. If you have to start broadcasting again, what will you do differently? I will start with a TV Station! I think I have learnt everything I need to know. Life is about progress. I want to build a TV network on my own. So, if I want to start, it’s from TV and not just TV, want a network like Radio Nigeria. But not NTA o! Tell me about the woman in your life. I am single and comfortable; not necessarily searching. If it comes by fine. But I am not searching. I am super single and not searching at all! Someone has been listening to you from your time on Coal City to now on Voice FM and watch your Red Carpet TV and wants to do what you do. Talk to the person directly. All I can say is be you. I remember when I first joined radio. Because I studied Linguistics, I had this whole issue of language and phonetics. Everybody wanted me to speak the way they did. I have different idea to phonetics. It was a big problem. People didn’t want you to come close to them. They say you pretend a lot. They don’t understand the idea. You studied whatever and ended in radio because you had to but I wanted it, I dreamt it and I landed it. So, we are coming from different angles. So, be you and don’t allow people to push you around. You can always work.